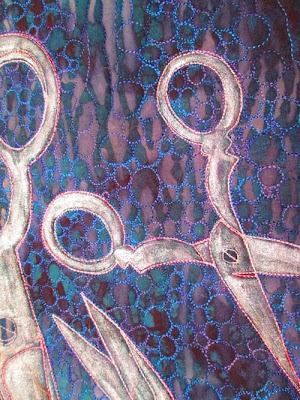 Several of the artists in our group were at a Charlotte Quilters' Guild 2012 workshop given by Valerie Goodwin. 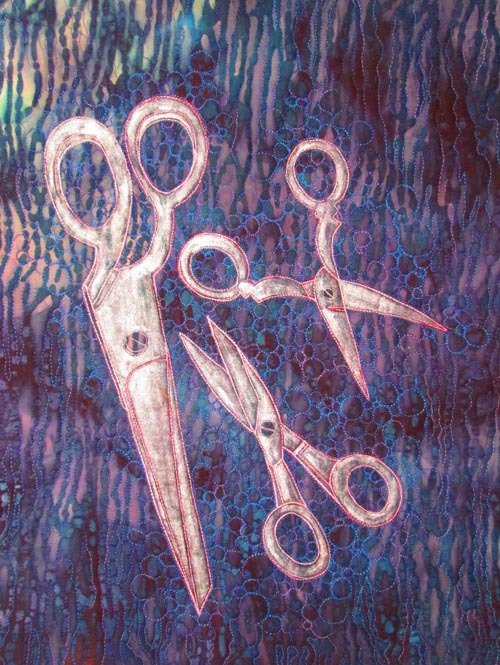 Deborah Langsam's piece Urban Renewal is on page 48. Debbie created a haiku poem for inspiration about the positive effects of the rail line coming into Charlotte.She has captured the grittiness of the city in a well designed piece of urban colors and motifs. Family Vacations by Linda Stegall is on page 90 and features the colors and light touch associated with the beach. Pathways Home by Nancy G Cook is on page 92. Nancy chose to celebrate her passion for bird watching and several of her favorite places for spotting migrant birds along Lake Erie. 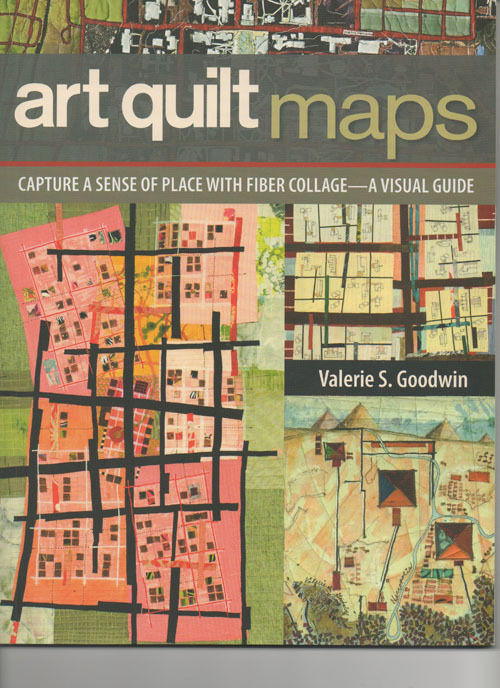 Valerie's book called Art Quilt Maps: Capture a Sense of Place with Fiber Collage - A Visual Guide is a delight to read visually as well as to dig deeper into her processes. She has been very generous in explaining in text and photos her processes from the design to execution. I love seeing the artwork of other fiber artists, I am even more intrigued when I see their processes laid out in enough detail that a reader could execute them. 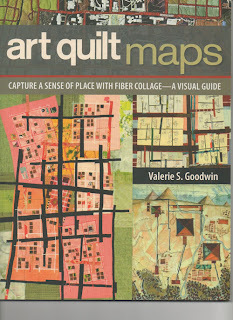 She does not talk down to the reader, and has written a book that will be of interest to anyone who wants to use a collage approach to fiber art from beginner to more advanced. Valerie is an award winning artist whose work is in major collections and has been selected for major exhibits. I highly recommend this book. Susan Brubaker Knapp here. Since returning from teaching in New Zealand in late July, I have been working hard on some new pieces. 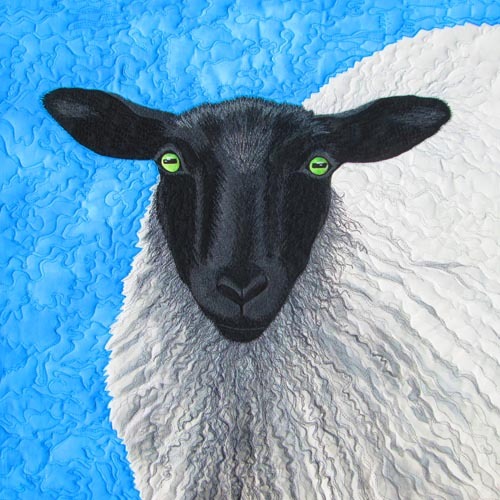 I am calling this little one “Never Enough.” If you are a quilter, or sewer, or crafter, you will know exactly what I mean. I stitched the outline of the scissors first, then quilted the background, and then painted the scissors with just a bit of metallic silver paint. I tried to do a thin coat and let some of the fabric show through. I have also been working on a series of sheep and chicken pieces, all based on the same two photos, and very similar. But it is interesting how each animal has his/her own personality! 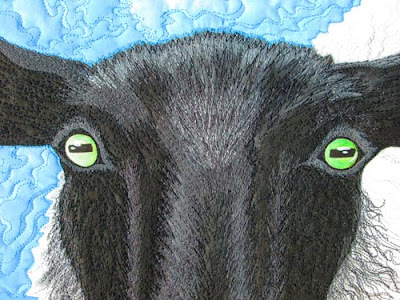 This is Suffolk Sheep #4. 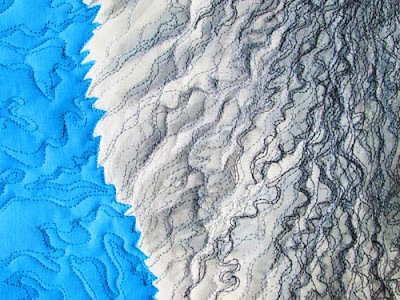 It is wholecloth painted, threadsketched, and quilted.